At its most basic level, self-advocacy means standing up for yourself and finding your voice. Mental health consumers do not always exercise their right to do this and therefore their needs are sometimes left unmet. The decades-long movement towards recovery for all persons with mental illness has created the need for specific information for advocating for this population on a consumer-to-consumer basis. This course is based on the Self-Advocacy guides by the National Mental Health Consumers’ Self-Help Clearinghouse and on the pioneering work of many recovery experts who are part of the Self-Advocacy movement. Consumer advocates can bring their own lived experiences with mental health service’s systems to bear on behalf of individual consumers, even advocating politically for change. 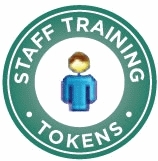 The contents of this course are presented for use by both trained professionals and paraprofessionals, as well as peer advocates for consumers with serious mental health disorders. 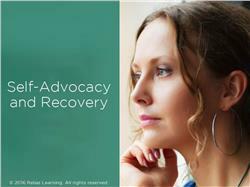 Describe the importance of self-advocacy for persons with mental and behavioral disorders. Explain the connection between self-advocacy and recovery for persons with serious mental health disorders. Practice how to utilize the resources available that define self-advocacy for persons with mental and behavioral disorders.